Tesla Model X To Go Ludicrous Too! The upcoming Tesla Model X will come with the same optional ‘Ludicrous Mode’ as the Model S when it launches it just a couple of months, according to Tesla CEO Elon Musk. Musk stated that with Ludicrous Mode, the Model X will be able to sprint from 0 to 60 MPH in 3.3 seconds, making it much quicker than a base Porsche 911. Autocar speculates that a “full unveiling for the production-ready Model X is likely to come at the LA motor show in November.” Though we tend to believe that the unveiling will happen sooner than November and at a Tesla-only event, not a major auto show. Tesla CEO Musk says that first Model X deliveries will occur in 2 months. 19 Comments on "Tesla Model X To Go Ludicrous Too!" That’s great & all, but I think a lot of us are really wondering what will be available for the Model 3. And all the saints, angles and every other heavenly host. We don’t want any of them to get angry at Tesla for having been left out. What would Jeseus do? Probably turn water into…hydrogen. And then proclaim it’s the energy carrier of the future! 2000 years later it’s still “in the future”. Anyway, if he lived now he would probably have changed his mind about hydrogen and would be driving around in a rainbow colored Model S.
What else would a long haired guy who always wear dresses and have the company of 12 other guys in dresses drive? 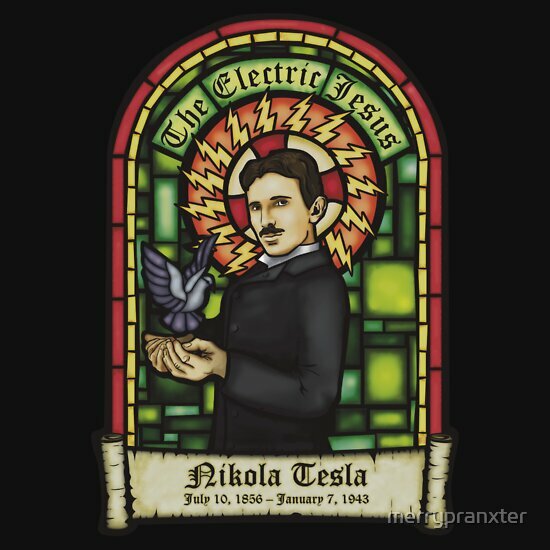 If baby Jesus did help Tesla then that would be an unfair advantage. He would also have to equally help the Fuel Cell people too otherwise there might be a law suite happening. Four miracles! That’s a lot. Baby Jesus might not be up to that but I am sure the adult Jesus can do it. Water is NOT a good source for power because we already have a water shortage. Unless it can use virtually any water including muddy, salt, or contaminated, it’s not a good solution. The ultimate would be burning nitrogen from the air as that’s 80% of our air, but I don’t think anyone is looking that way. Also, a small fusion (not fission) reactor would be ideal too. “Ludicrous” mode, I’d say that’s just silly, but no, it’s actually ludicrous. yet another PR announcement from tesla. if someone really wanted “ludicrous mode” performance, would they really buy a model x? Going by the number of high power Porsche and BMW SUVs I see, yes! i’ll take your word for it on that one. when you can afford to spend the kind of money that it will cost to get the model x, all kinds of highly discretionary criteria enter into the picture. People will figure out how to flip over the model x quite quickly. I hope the Cg is low enough to make that extremely difficult.